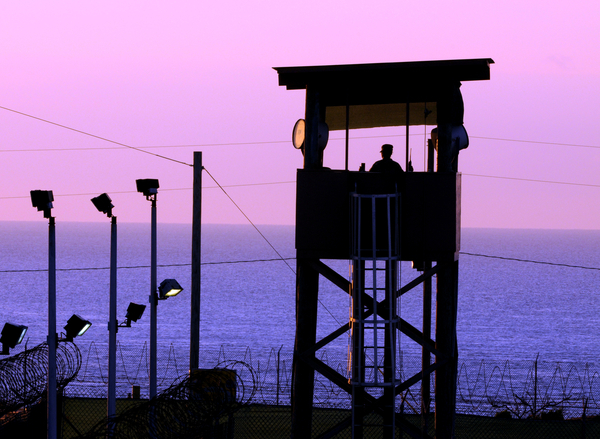 Politico’s Josh Gerstein reports that the Obama administration’s Department of Justice has made public for the first time a list of 55 Guantanamo detainees cleared for transfer out of the prison. These detainees must be immediately released to countries that will respect their human rights. If the Obama administration can’t find suitable and willing countries to take them right away, then these detainees should–if they are willing–be released in the United States. Shaker Aamer has been held at Guantanamo over 10 years despite being cleared for release. If necessary, President Obama should work with Congress to remove any legislative barriers to transfering them to the U.S. mainland. A number of U.S. cities have already passed local resolutions welcoming detainees, including Amherst and Berkeley. 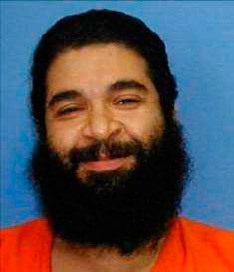 One of the detainees from the list of 55 that can be resolved right now is Shaker Aamer (pictured). He has British residency and the UK government has repeatedly called for him to be released to his wife and children in London. The U.S. government must do that immediately. He has been held for over 10 years without charge. The detainees not on the list of 55 must also be immediately released, unless they are to be charged and fairly tried in civilian court. Indefinite detention and unfair trials are human rights violations. They must end, and Guantanamo must close. Take action: Send that message to the U.S. government right now. This entry was posted in Security and Human Rights, Torture, USA and tagged amnesty international, detention and imprisonment, guantanamo, human rights, security with human rights, Shaker Aamer, torture by Zeke Johnson. Bookmark the permalink. Good timing in the wake of the Libyan Embassy attack orchestrated by a former GITMO detainee — killing four Americans. Good timing indeed. And "Transfer" is not the same as "release". If you want these 55 individuals walking around the United States you must be suicidial or have a death wish. Brian: there's only one way to determine who is guilty or not guilty of a crime: a fair trial. The government has determined these 55 should not be charged and fairly tried, so they should be released. PETA believes no man should shave as it destroys habitat for small animals and insects. Jesus H. Christ belonged to PETA, Romans didn't like it so they got rid of ole JC. Ugly beards? From what i can remember back in the days from shake spears, queen victoria times you will find every man with a beard. It was up until when the sodomites came about demanding their rights and stuff so they shaved their beards off to be different from men more to the feminine side. You seriously need to check your history before talking nonsense here. Are you a big time sodomite-er? Zeke – as always you are disengenous. Of course no one is guilty of a crime without first being convicted. That is not the issue or debate concerning the detention of unlawful enemy combatants. Brian: The US government defined the term "unlawful enemy combatant" to try to justify detaining people without charge or trial, and subjecting them to "enhanced interrogation techniques"–aka torture. All people have rights, a government's definition can't take that away. You'll appreciate that if you're ever detained. I've been detained…by my dentist keeping me waiting! I demand a trial! Fart what is wrong with you? You need to grow up seriously and i think i just done a fart. I had a bad brain injury when I read too much of this crappy, boring blog! Don't worry, you won't have ole Fart to kick around much longer! There is a difference between a convicted criminal and a detained enemy during armed conflict. You can pretend otherwise all you want and argue until the end of time. No, Zekie is naive, a veritable virgin, n'est-ce pas?? I had a thought that the prisoners in Guantanamo will have their justice after the Obama administration elected in the U.S. But there is no respect for their human rights from the government still exists. I think all of the prisoners at Guantanamo should get a fair trial and then be freed or moved to other prisons. Guantanamo must be shut down!